From the sophisticated charms of Cape Town to the wild open spaces of Kruger National Park, you'll see the dynamic forces that make South Africa one of the most exciting vacation destinations on the planet. 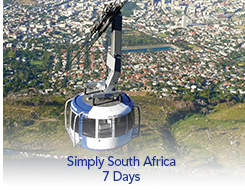 See the highlights of Cape Town on the half day city tour. 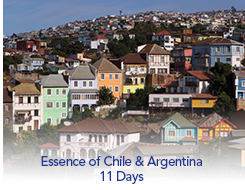 Choose from several optional tours or just relax. 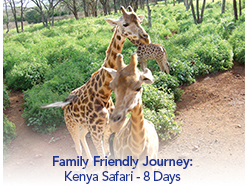 Then an exciting safari awaits you - game viewing in open safari vehicles by day and at night and on guided bush walks. Simply South Africa at it's finest!